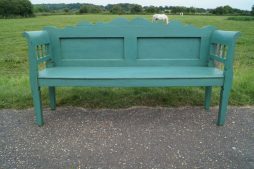 Arundel Eccentrics | Interior Boutiques – Antiques for sale and mid century modern furniture, french furniture, antique lighting, retro furniture and danish furniture. 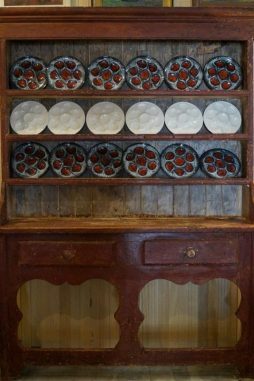 Arundel Eccentrics are a husband and wife team with an interesting,eclectic collection of English and French decorative antiques. Their company has been in Arundel for almost 20 years. Now their large showroom is based in the last remaining buildings of the 19th century Swallow Brewery hidden away down a little side street in the town. (Just behind Arundel's Co-op) one minutes walk from Arundel High Street. Well.... 30 seconds if you're a fast walker. 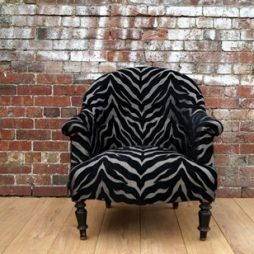 Apart from their beautiful decorative original furniture and accessories and extremely competitive prices what gives them a different edge? 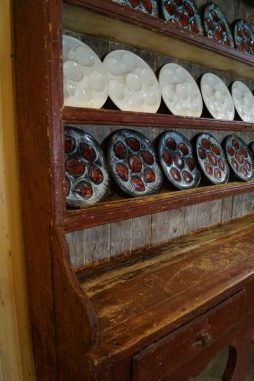 Their one off quirky decoupage pieces. Nass and Brenda source English 19th century bamboo and chests plus vintage pots and boxes that are slightly down at heel. They restore, paint and decorate using 19th century images in the form of decoupage. 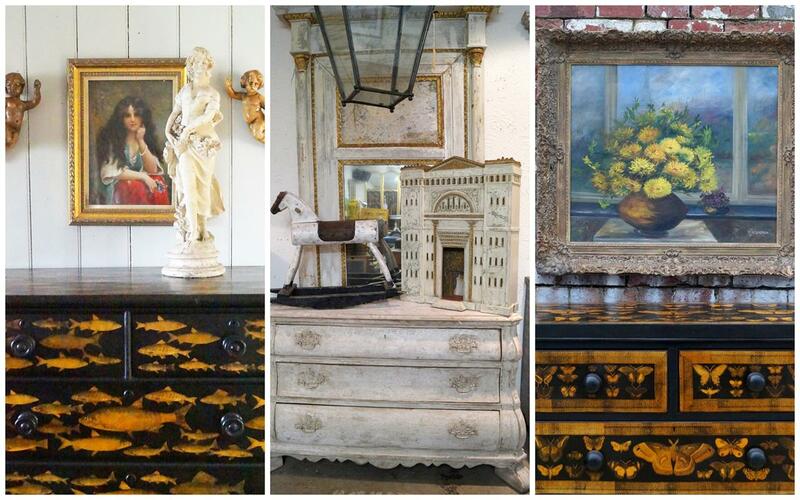 Their chests of drawers with fish, shells or botanicals and English Victorian bamboo are sought after by interior designers and have featured in both national and international interiors magazines. They also have a collection of their decorative antiques on the 4th floor of Liberty in London. Open Friday Saturday and Sunday 10-4 Other times by chance or appointment. Trade welcome any time just call. 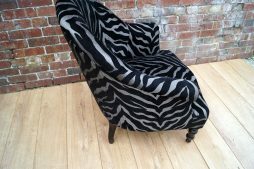 A Victorian tub chair with ebonised legs, newly upholstered in zebra print fabric. Condition Report : good with usual signs of age. Condition Report : In good condition. 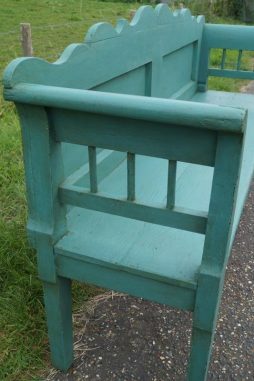 A lovely Irish dresser taken back to it’s original paint.